Christmas Season is here! 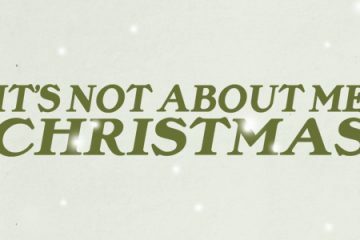 Today, we kick-off a new series we’re calling – ‘It’s Not About Me Christmas”. Over the next few weeks we will be challenged to turn our celebrations upside down and focus on the meaning of Christmas. Will you treat this Christmas like Jesus’ birthday or your own? Join us as we continue our “It’s Not About Me Christmas” series. Pastor Nick will also share about his visit and an exciting opportunity that we have in Chad – a country in the heart of Africa. We all have images in our minds of the perfect Christmas. The perfect gift, the best cookies, family harmony. Then we wake up from that perfect Christmas dream and are greeted by the present Christmas reality: kids are sick, lines are long, family is fighting, the pain of our first Christmas without our loved one – mom, dad, husband, wife, grandma, or grandpa. Today, we continue our series “It’s not about me me Christmas” by looking at the greatest gift ever given. Need a break from the crazy Christmas chaos? Enjoy Grace’s Christmas Eve service all about how Jesus stepped into our crazy world to give us light and life!